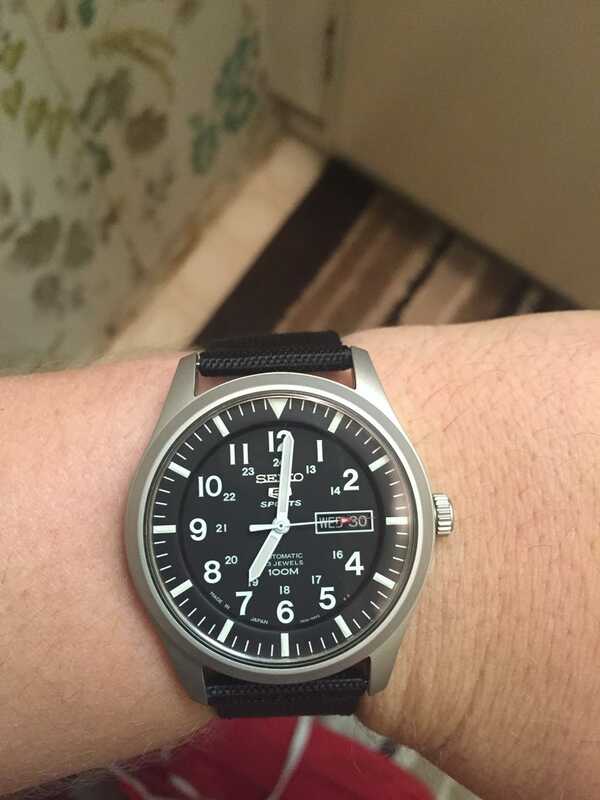 Seiko 5. I am very happy with it and it is very handsome. Although if it stays running for a week of so it gains about 2min.